Offering luxury transportation from South Florida, we specialize in corporate and executive travel in our new Luxury Suv Limo. Holds 14 passengers with ample room for luggage storage (upto 6 passengers with bags) 14 without bags). 3 Hour packages starting at $295.00 usd for Luxury 14 passenger Suv Limousines & Mercedes Sprinters. "We are not just a ride, we create memories for a lifetime"
. Vehicles that are insured and approved by all counties and state. Ride to service ports, airports and counties - with service for all of Florida. Offered is point to point service, hourly service, nights out, group tours, or just a ride around. 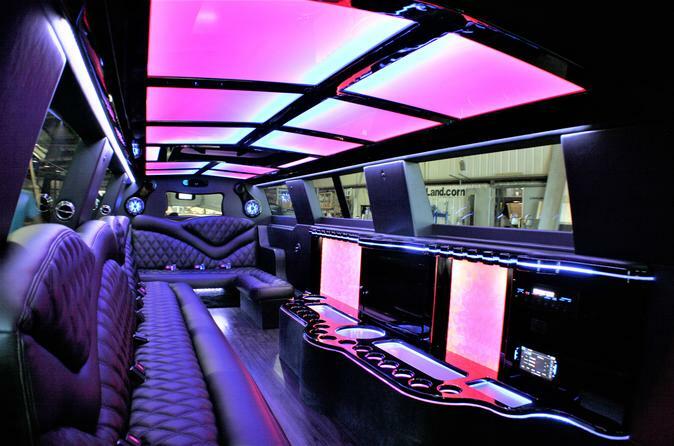 Fully licensed and insured Sprinters are equipped with WIFI, Bluetooth, Apple TV, high end sound system, wood floors, limo style seating and lighting, aux connections, 110v and 12v throughout, HDMI connection, large ice cooler, A/C, and RGB (red, green, and blue) disco lighting. We will travel anywhere from the South Florida area. Key West, Orlando, Tampa, everglades and beyond. Contact us today to arrange your private tour or trip to the Airport or Ports. We will help in designing a tour essential to your needs and desires.